★ Boyd’s well-to-do butcher, Peter Geist, daughters, Mary and 17-year-old Annie were at odds. Runaway Annie was arrested in Chicago in December 1897, on the complaint of Mary, just as Annie was about to enter into marriage with Harry Haway. Mary’s complaint alleged that Annie was already married to Agnus McDonald, a resident of Chippewa Falls and the recent deputy game warden of Chippewa County. Amused at the allegation and “not a little taken back”, McDonald was adamant that while he was acquainted with Annie, they were neither married nor even engaged. ★ C. H. Ganzal was advancing in age, wanted a change in climate, and wanted to sell his large hotel and other Boyd property in February 1871, so he established a raffle -- but the Federal Anti-Lottery law brought his plans to a screaming halt. As an alternative, he offered his property, valued at $4,000, for sale for $2,000 cash. 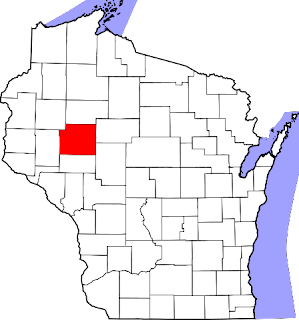 Boyd is located in Chippewa County. Boyd is located along the Yellowstone Trail.